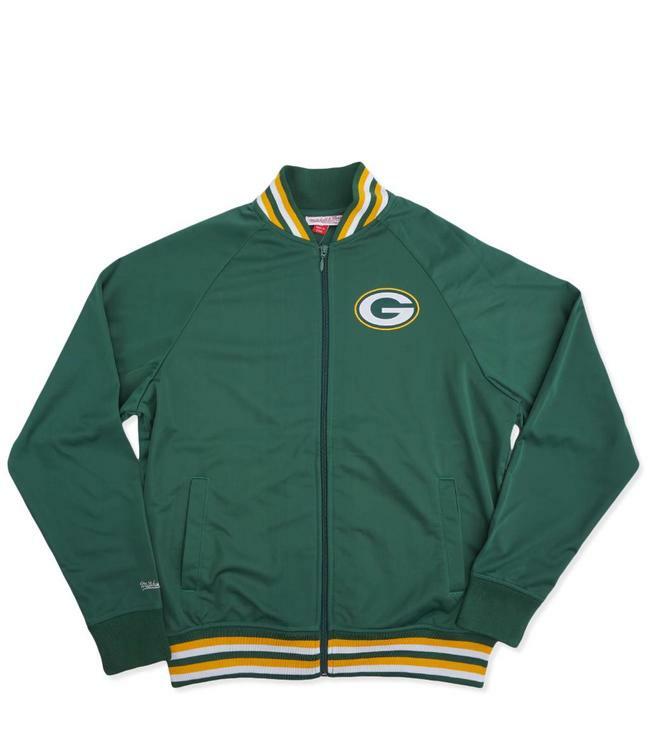 Full zip Packers track jacket featuring twill applique logo patch at chest and screen printed text at back. 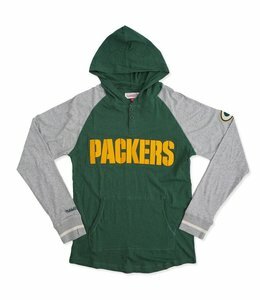 Tailored Fit: This garment fits a bit trimmer in the body and sleeve. 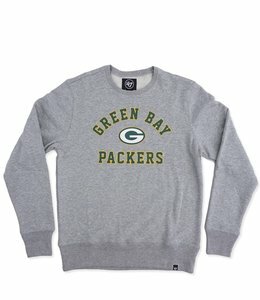 '47 Brand Green Bay Packers premium french terry crewneck featuring logo text screen print at front. 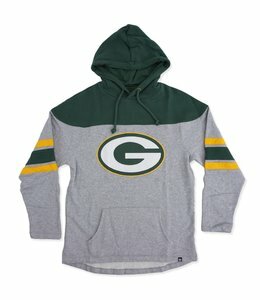 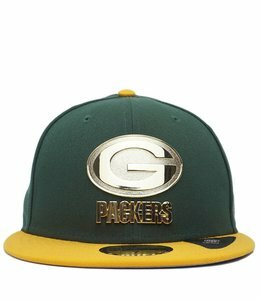 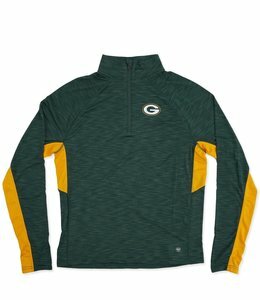 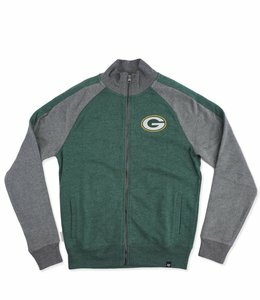 Packers lightweight hooded shirt featuring 2 button collar and felt team logo at chest and sleeve. 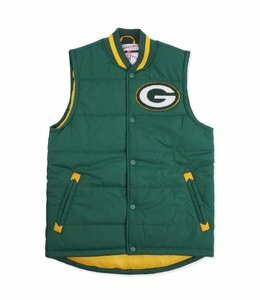 Lightly insulated Green Bay Packers vest featuring chenille team logo applique at front chest. 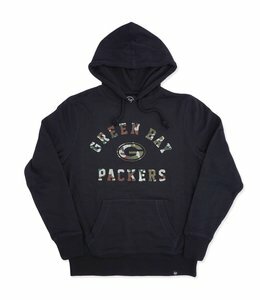 Midweight Packers pullover hooded sweatshirt featuring camo fill screen print logo at front.